Citizenship Program Albania is now suspended. Citizenship Program Albania | Buy Passport from GCI. We are the world's leading experts in advising foreign investors on Citizenship & Residency by Investment. Albanian Citizenship Program. Read more on how to apply for Citizenship Program Albania. Global Citizenship Investment (GCI) established a new citizenship program for Albania. We suggest the Albania Citizenship Program will offer our customers a lot of benefits. GCI is the inventor, planner and designer of the Citiznship by Investment program especially for entrepreneurs and managers. We have proposed the government's program and are in contact with the authorities. The program and the idea is in the process. Until it is approved by the government and is legimitized, we help the investors to apply for citizenship over the Ministry of Economic and intern Affairs. Through our contacts with the government, we are able to significantly speed up the process. Albania is a small, mountainous country in the Balkan peninsula, with a long Adriatic and Ionian coastline. It shares borders with Greece, the Republic of Macedonia, Kosovo, and Montenegro. With its coastline facing the Adriatic and Ionian seas, its highlands backed upon the elevated Balkan landmass, and the entire country lying at a latitude subject to a variety of weather patterns during the winter and summer seasons, Albania has a high number of climatic regions for so small an area. The coastal lowlands have typically Mediterranean weather, whereas the highlands have a Mediterranean continental climate. The coast between Velipoje and Shengjin in the north is characterized by curative sand beaches, and a few lagoons near Lezhe perfect for bird-watching. 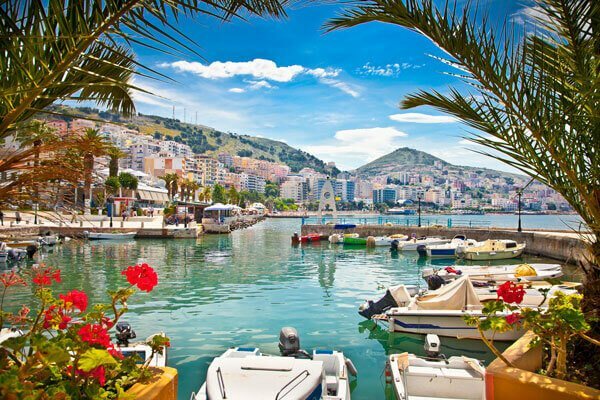 Between Durres and Vlore in Central Albania, the coast is characterized by long stretches of sandy beaches and several lagoons. Along the Albanian Riviera in the south, the coast is mostly rocky with either long or secluded shingle and sandy beaches, with the presence of several islands like Sazan, Zvernec, Ksamil, and Tongo. The total coastline of Albania is about 476 km long. There are plenty of things to do in Albania. The Albanian seaside is perfect for those who prefer a relaxing holiday. The beautiful beaches of the Ionian and Adriatic seas, great Mediterranean climate and some delicious, freshly-caught seafood make for a great holiday. 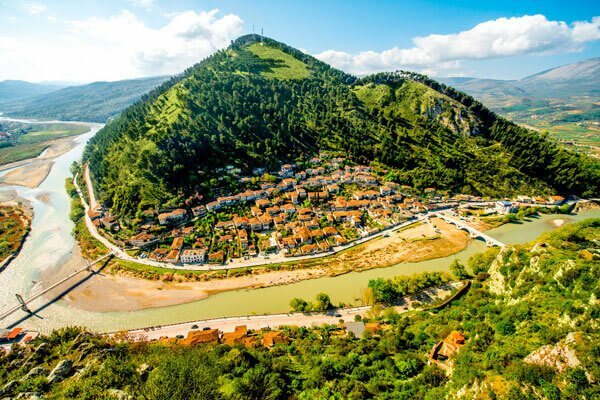 Albania also has a lot to offer the traveler who prefers a more active holiday, including sea kayaking in the Albanian Riviera; rafting on the Vjosa, Osum, and Black Drin rivers; trekking, cycling, and snowshoeing; paragliding; and hiking the peaks of the Balkans. Albania has a Muslim majority - a legacy of its centuries of Ottoman rule. Approaching twenty per cent of the population are Christians, divided mainly between the Orthodox and smaller Catholic denominations. Traditional Albanian culture honors the role and person of the guest. In return for this place of honor, respect is expected from the guest. Albanians enjoy long walks in the city streets, drinking coffee and, among the younger generations, participating in nightlife activities such as cafe lounging and dancing. Visa-free travel to more than 114 countries around the world, including EU Schengen states, Switzerland, Russian Federation, Hong Kong, Brazil, Australia, Singapore, Malaysia and Argentina. Albania Citizenship is for lifetime and can include beside the main investor also his dependent family as spouse, children and parents. Tax policies are flexible and non-restrictive. Real estate offers attractive income and opportunities. Albania is a member of the United Nations (UN), NATO menber since 2009, the Organization for Security and Co-operation in Europe, the Council of Europe, the Organisation of Islamic Cooperation and the World Trade Organization. It is one of the founding members of the Energy Community, Organization of the Black Sea Economic Cooperation and the Union for the Mediterranean. Since 2014 Albania is also an official candidate for membership in the European Union. Albania has a high Human Development Index (HDI) and provides universal health care system and free primary and secondary education to its citizens and is also an upper-middle income economy. Perfect for building a new business, Green land ready for rebuilding. Investment in a business, purchase of real estate, or donation. A minimum of EUR 200,000 real estate property must be purchased and invested in government-approved shares. The investment must be kept for a minimum of 5 years and might be the case that investors should pay also some additional taxes and fees. Regulation of the [Citizenship by Investment Act 2016] sets out the process by which real estate projects are approved for investment by applicants to the CIP. The Government will from time to time identify approved development areas. It will then approve specific projects within these areas. Approved projects are then eligible for investment by applicants to the Citizenship by Investment Program. Business plan approved, Budget 100.000 EUR min. salary, for each foreigner employed at least 4 Albanian employees Furthermore our consultants will guide you through the whole submitting process for the Citizenship Program Albania. The Albanian passport is a travel and identity document that is issued to citizens who are nationals of Albania and allows them to travel abroad. In February 2016, holders of an Albanian passport could visit 114 countries and territories visa-free or with visa on arrival, In February 2016, holders of an Albanian passport could visit 98 countries and territories visa-free or with visa on arrival, ranking the Albanian passport 49th in terms of travel freedom according to the Henley visa restrictions index. Albanian passport is one of the 5 passports with the most improved rating since 2006. Passport holders may travel to the Singapore and the Schengen Area with relative ease and without challenging visa requirements.